A base class for tree containers. Definition at line 34 of file itkTreeContainerBase.h. Definition at line 41 of file itkTreeContainerBase.h. Definition at line 40 of file itkTreeContainerBase.h. Definition at line 39 of file itkTreeContainerBase.h. Definition at line 38 of file itkTreeContainerBase.h. Definition at line 43 of file itkTreeContainerBase.h. Definition at line 78 of file itkTreeContainerBase.h. Definition at line 79 of file itkTreeContainerBase.h. Implemented in itk::TreeContainer< TValue >, and itk::TreeContainer< itk::SpatialObject< TDimension > * >. Reimplemented in itk::SpatialObjectTreeContainer< TDimension >, itk::TreeContainer< TValue >, and itk::TreeContainer< itk::SpatialObject< TDimension > * >. Definition at line 74 of file itkTreeContainerBase.h. Definition at line 80 of file itkTreeContainerBase.h. 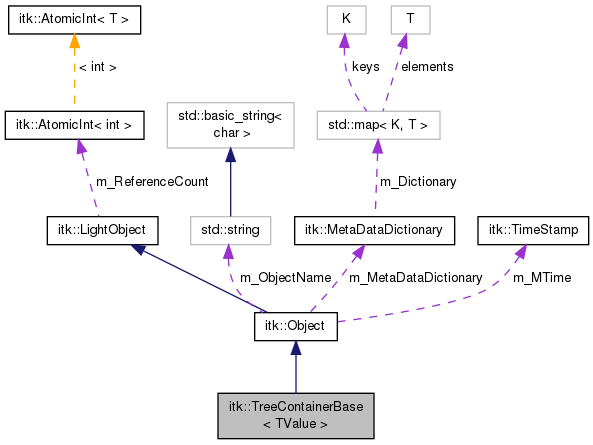 Referenced by itk::TreeContainerBase< itk::SpatialObject< TDimension > * >::SetSubtree().